Flagship smartphones fail to excite the masses like they used to a few years ago. The Samsung Galaxy S7 was far less interesting than its predecessor – an insider, working at a Samsung facility in Eastern Europe has let us know that aside from the chips welded to the main board, the phone is surprisingly similar to its 2016 predecessor. Both phones are equally overpowered for the everyday user predominantly playing Wintingo mobile casino games. This might be the right time to turn our eyes away from the flagship handsets put on a pedestal by the manufacturers’ marketing teams and take a better look at other models further down the food chain. Today, let’s see a more affordable alternative to flagship phones, the Samsung Galaxy A7 (2017). 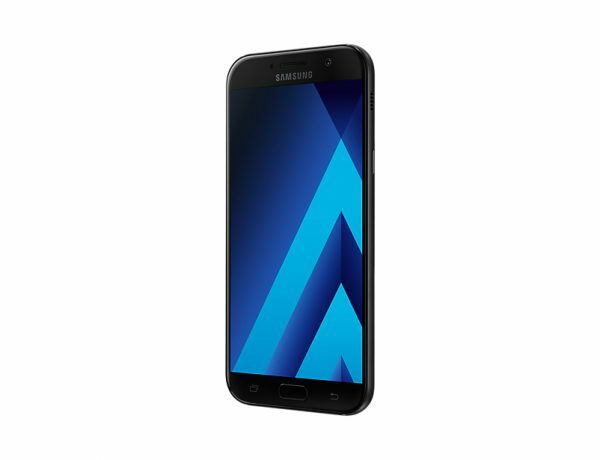 First of all, let’s get the most pressing questions out of the way: the Samsung Galaxy A7 (2017) can be purchased for as low as $399 (unlocked). Aside from the screen edge, it has most of the attractive features of the Galaxy S7 Edge, including its high-speed 4G data connection, Samsung Pay, and its attractive range of colors. The differences between the two models are mostly hidden under the hood, with very few of them being obvious at first sight. Compared to the Galaxy S7 Edge, the Galaxy A7 has a slightly lower set of specs. This will not make it any less appropriate for running Wintingo-style games. Truth to be told, the games at the Wintingo mobile casino are not the most demanding when it comes to hardware – as most other casino games, and casual games for that matter, they are designed to run on the largest variety of devices. This doesn’t make them any less entertaining, though – thousands of players cross the Wintingo’s virtual doorstep each month, engaging in their preferred form of online entertainment. Both the S7 Edge and the A7 will handle heavy lifting just right, with a slight advantage for the former thanks to its higher-performance system-on-a-chip. The Galaxy A7 is powered by an Exynos 7880 Octa-core SoC, with all its cores running at 1.9GHz. Its GPU is also a bit lower-key, yet the Mali-T830MP3 will handle most everyday tasks. It comes with 3GB of RAM, 32GB onboard storage, and all the connectivity options you might need. Compared to the Galaxy S7 Edge, the A7 has a few finer shortcomings that justify the difference in their prices. While the A7’s screen is slightly larger, it has a lower resolution (1080 x 1920 vs. 1440 x 2560 pixels) and a lower pixel density (386 ppi vs. 534 ppi). The A7 is capable of LTE-A Cat6 300/50 Mbps, while the S7 Edge has the newer LTE-A (3CA) Cat9 450/50 Mbps standard. There is one aspect where the A7 has an advantage: it comes with an USB Type-C connector as opposed to S7 Edge’s microUSB v2.0. Instead of spending a small fortune on the Samsung Galaxy S7 Edge, you should consider the more affordable option, the Galaxy A7. It looks almost as great as the S7, and it is a perfect fit for everyday use.